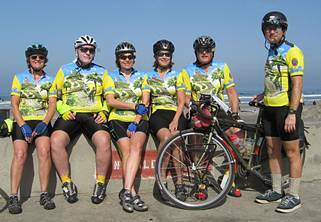 ..:: Knickerbikers - San Diego's Bicycle Touring Club ::.. 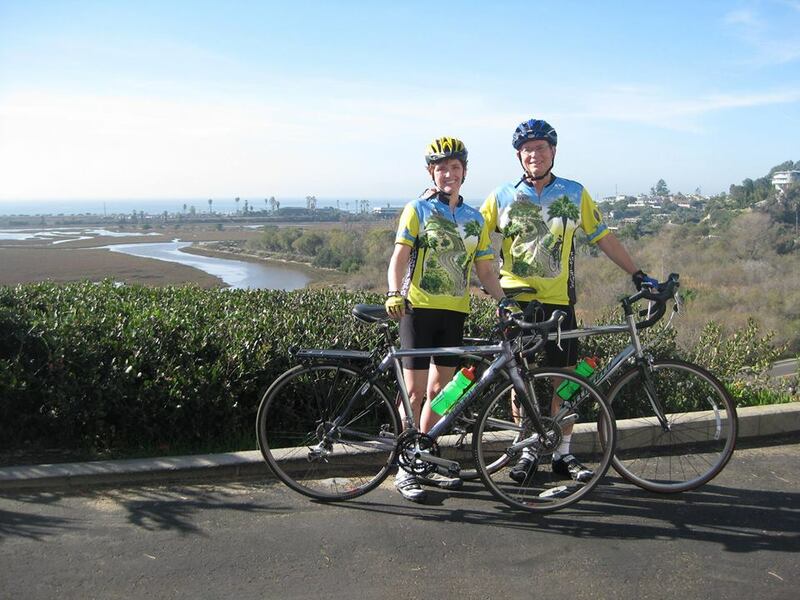 The Knickerbikers is San Diego's bicycle touring club, offering day trips (mostly on the road, but some mountain biking) throughout San Diego County every Saturday and Sunday morning. The length and pace vary, but most of the rides are in the 30-60 mile range. Tours, ranging in length from two days to three weeks, explore scenic areas throughout the U.S., and the rest of the world. 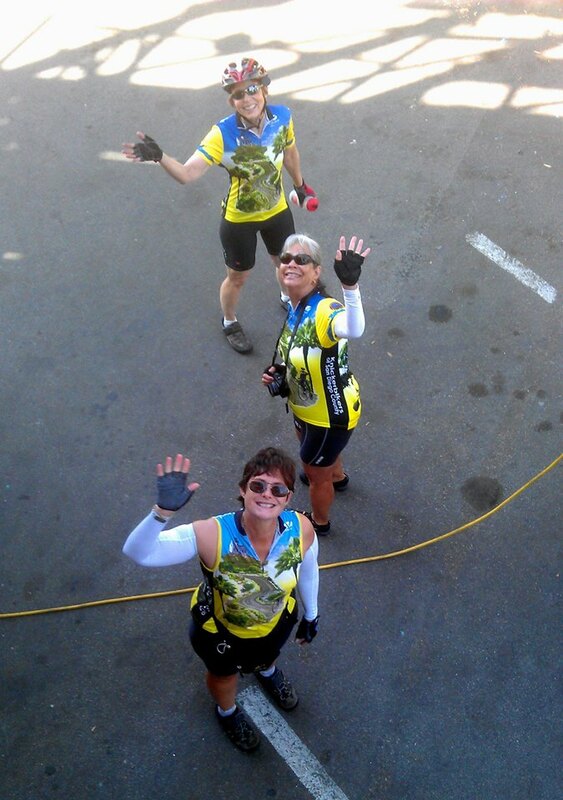 Recent tours have taken the Knickerbikers to Montana, Oregon, Idaho, Alaska, and New Mexico. Others have been to the Canadian Rockies, Hawaii, Washington, Wisconsin, Ireland, France, Arizona, many Coastal CA loops, CA Shasta, N&S Dakota, Colorado, Texas, and etc. 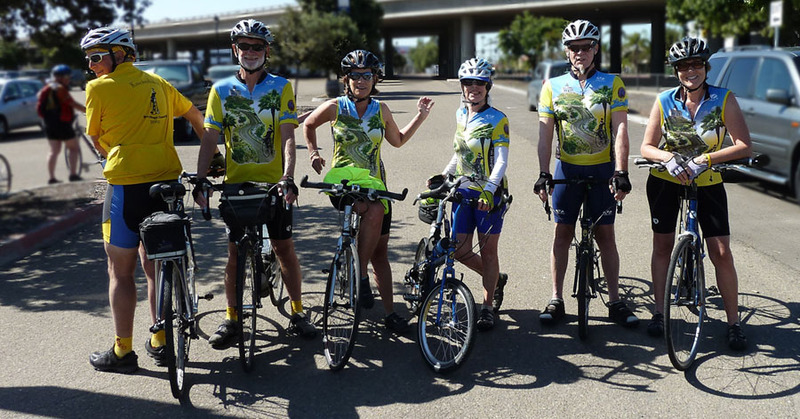 Our club, the Knickerbikers of San Diego county, was established on Friday, May 31, 1974. 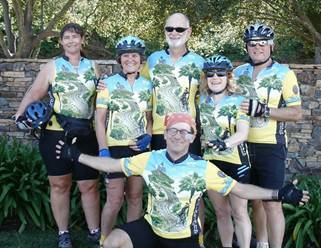 Forty-three charter members subscribed to the idea that a regular program of bicycle touring experiences could be offered without involving institutional encumbrances. In effect, our club was purposefully not organized. There are neither rules nor regulations, no club officers - aside from our tongue-in-cheek representative office of Knickercommander (the club servant) - and no business quorum. Everyone is still responsible for himself or herself. It was and still is a simple idea, which is to ride our bikes! Two founding principles guide our group behavior: it's nice to be noticed, and it's fun to be a kid again.